School readiness can be defined as a measure of how prepared a child is to succeed in school, cognitively, socially and emotionally. In Texas, enrollment into kindergarten is based upon the age of the child. If a child turns five before September 1, he can enroll. But is he ready? Children develop at different rates and all come to school from a variety of backgrounds with a wide-range of experiences. To bridge gaps in knowledge and abilities, the Texas Education Agency (TEA) in collaboration with the Children’s Learning Institute at UTHealth, designed a school readiness screener for educators to gauge children’s school readiness upon their entry into kindergarten. After piloting the project in Texas schools, the Texas Kindergarten Entry Assessment (TX-KEA) will be available to all kindergarten classrooms in August 2017. 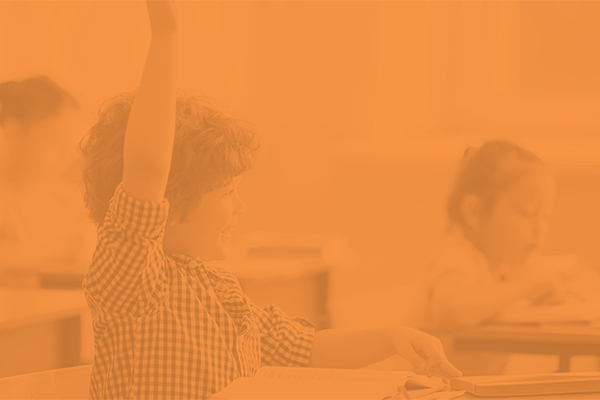 This assessment will help schools determine whether students have mastered developmental benchmarks as described in the Texas Pre-K Guidelines and the Texas Essential Knowledge and Skills (TEKS). The assessment is criterion-referenced (i.e. designed to measure student performance against a fixed set of predetermined criteria or learning standards). Unlike other screeners such as the Texas Primary Reading Inventory (TPRI) or El Inventario de Lectura en Español de Tejas (Tejas LEE), which are used at the beginning, middle, and end-of-the-year, TX-KEA is a one-time, beginning of the year snapshot of what students already know and can do. TX-KEA is approximately 45 minutes in length; and it is not necessary to administer all at once. Portions of the screener can be administered in groups. Further, the TX-KEA gives teachers the ability to assess a child’s attention, inhibition, and working memory, areas critical to learning in the school setting. Once administered, individual and group reports are available to guide instruction. TX-KEA will be integrated into TEA’s longitudinal assessment system, but will not be tracked to kindergarten students’ earlier education/care programs according to the frequently asked questions section of the TX-KEA website. Currently, TX-KEA is merely a screener. TEA is seeking additional funding to expand the project to offer additional supports and materials. At rollout, no activities will be provided for educators or families to support the areas where students need additional support; and this is where Ready Rosie can prove to be a valuable tool. ReadyRosie is providing Texas school districts a summer learning resource called ReadyRosie Summer Soar to help engage families in a fun summer learning experience. These summer activities were selected to encourage summer games between children and caretakers that also develop and maintain skills around letter knowledge, patterns, and more! ReadyRosie Share is a platform that allows teachers to share targeted information with families. For example, if a teacher is doing work on measurement, she can send videos modeling activities families can do to measure at home. This tool can also be used in response to the TX-KEA this fall. Imagine a teacher being able to immediate send home resources and tools for families to support their child in specific areas based on the data from the TX-KEA. For additional information visit http://www.texaskea.org/. To preview of some of the items, go to http://www.texaskea.org/TX-KEA-Preview.html. A number of frequently asked questions (FAQ) have been posted to the site at http://www.texaskea.org/FAQs.html. Webinar recordings, handouts, and additional FAQs can be accessed at http://texaskea.org/Get-Involved.html. For information about the project timeline, visit the Children’s Learning Institute website at https://www.childrenslearninginstitute.org/research/texas-kindergarten-entry-assessment-tx-kea/.